This is the poké chain's last location to open this year before undertaking national expansion. 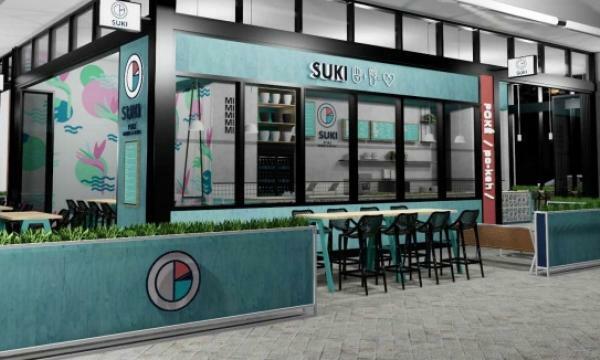 SUKI is set to enter the Sunshine Coast with a new location at the new Stockland Shopping Centre in Birtinya by early December. "We are excited to launch our fresh and flavoursome poké and sushi burritos into the Sunshine Coast market. Birtinya is a very exciting development area for the coast and the perfect demographic to enjoy our healthy and refreshing offering," SUKI CEO Kim Toovey said. Aside from being the poké chain's seventh location overall, this is also SUKI's last opening for 2018 before further expansion in Southeast Queensland and national expansion next year. "We have built a strong and loyal home base in QLD and cannot wait to bring SUKI to the rest of the country."